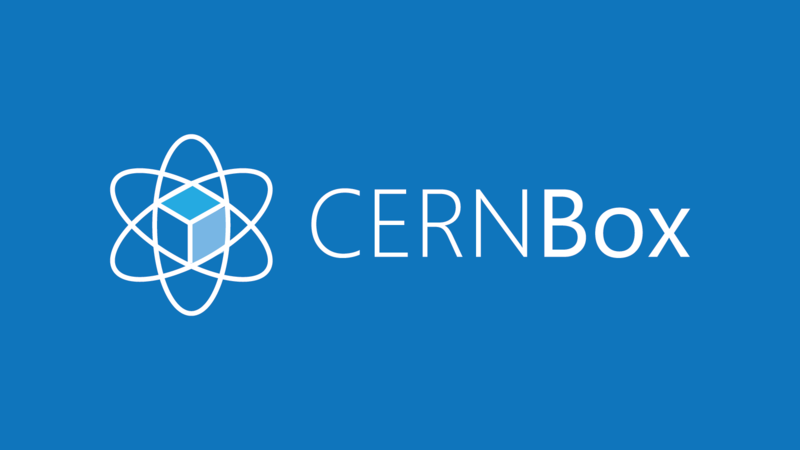 A few months ago I was tasked by a group at CERN to create a logo for their new CERNBox service. 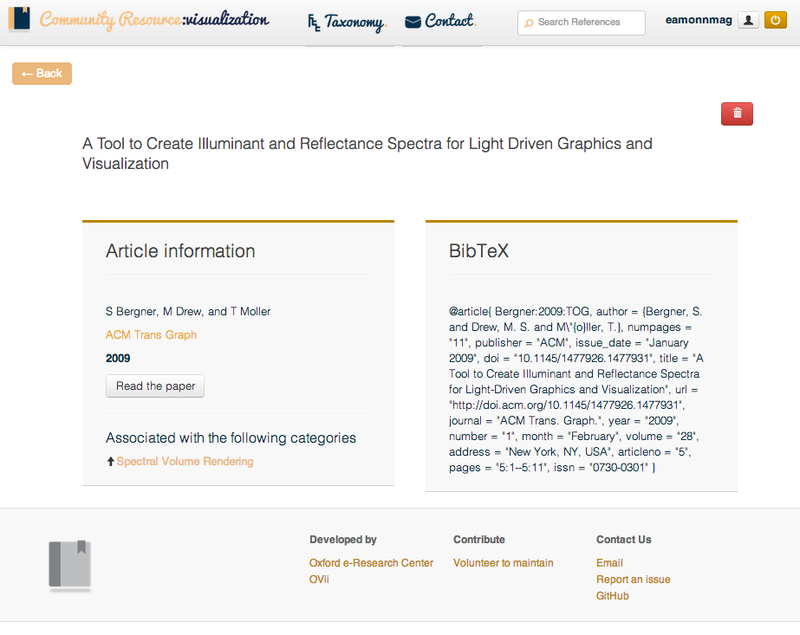 This is essentially a Dropbox for scientists built upon the owncloud platform. I wanted to do something a little different from a classic box representation, and since it was for CERN, it made sense to incorporate something nuclear. When I initially looked at the nuclear tracks, I found that a natural box appeared. Using this, I filled in the gaps to create the logos below, which I think are pretty damn cool. That didn’t look great, and some users thought their machines were compromised. Having looked in to it, it’s a problem with the headers in the .htaccess file. To resolve this error (I’ve seen a number of users with this issue), add this block to your .htaccess file. 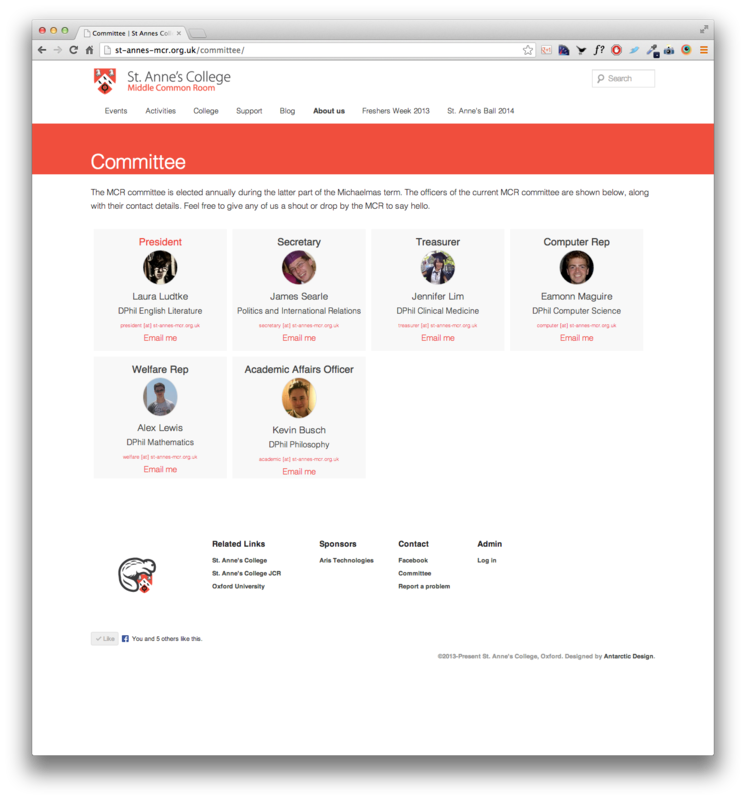 The new St. Anne’s College MCR (Middle Common Room) website is finally online! Previously, edits could only be done through one person and maintaining/uploading files was a nightmare. Now, everything is managed via a WordPress site (very excellent stack by the way, despite all my protests about PHP) bringing editing to all, plus event management is all integrated in to one site. Have a look and check it out. We’re adding more content over the next few days, but much of the heavy lifting has already been done. 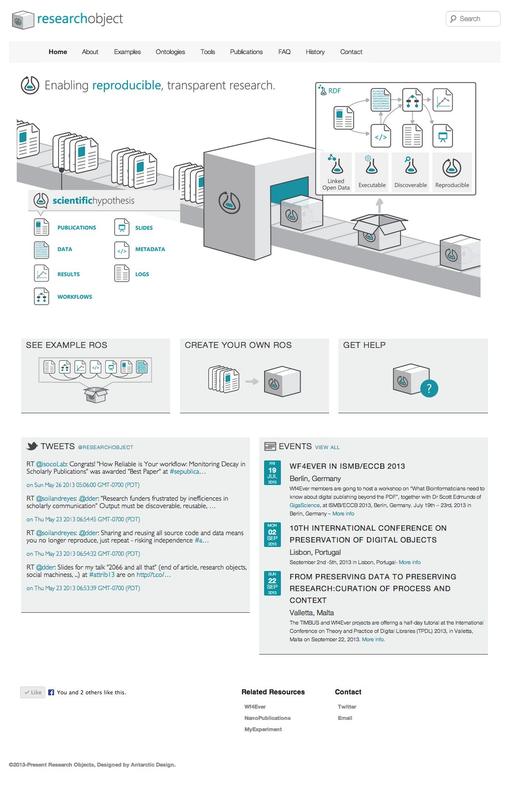 I’ve just finished this project for Researchobject.org which is my first WordPress (usually, I do Django) site. I did the logo, illustrations and implementation. It’s almost close to launching, so I thought I’d share some screenshots with you, in particular the IT crowd inspired 404 and 500 pages. 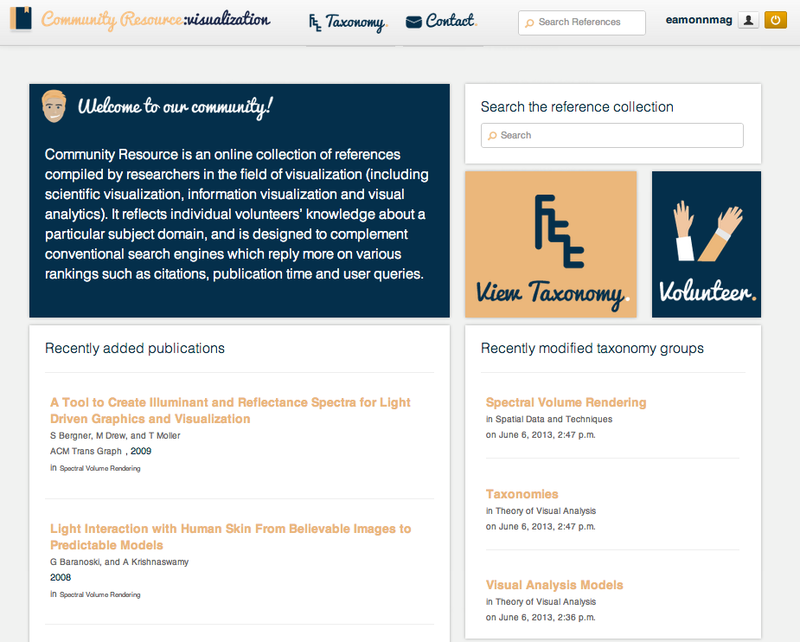 Community Resource for visualisation is a site which enables researchers to collectively build up a reference resource for papers in the visualisation field. In the future, we’d like to open this up to any field so that we can build a searchable resource that intuitively organises references. 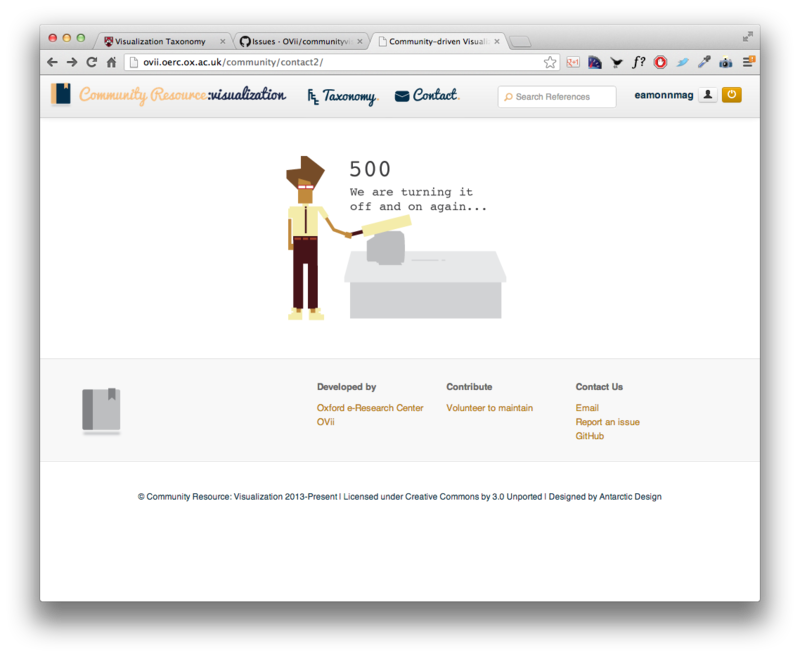 Our 500 server error page. 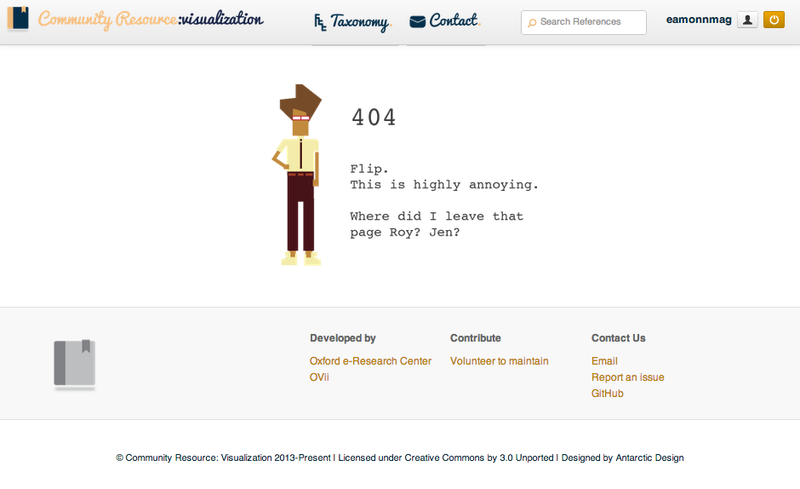 Our 404 page not found page. 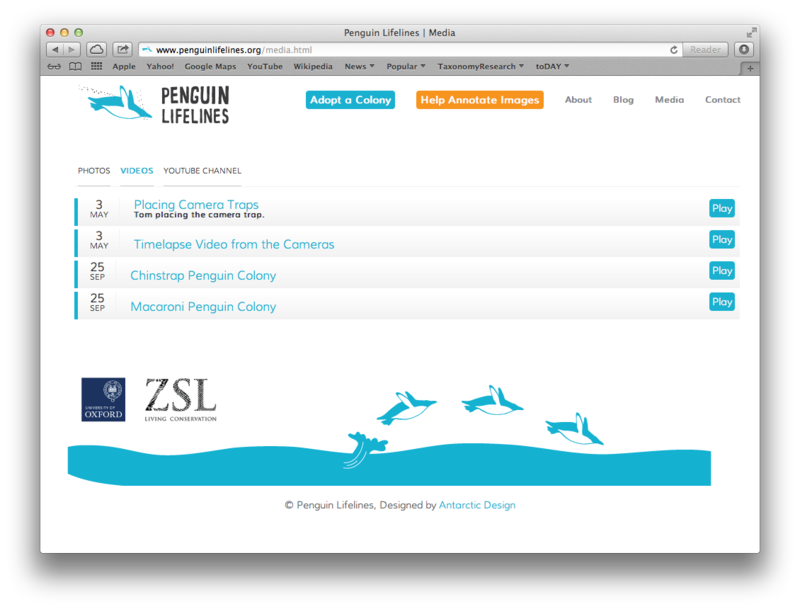 I have been very fortunate to have worked on a project with a topic of particular interest to me, Penguins!! Penguin Lifelines aims to catalogue to effects on Penguins in the Antarctic through the creation of observation sites around the Antarctic, essentially portable web cams, that beam images back to a server in Oxford. These images are then automatically analysed by image processing software to count the number of penguins in the image, and record these numbers over time. The data will then be used to inform policy and contribute to importance research in the Antarctic. 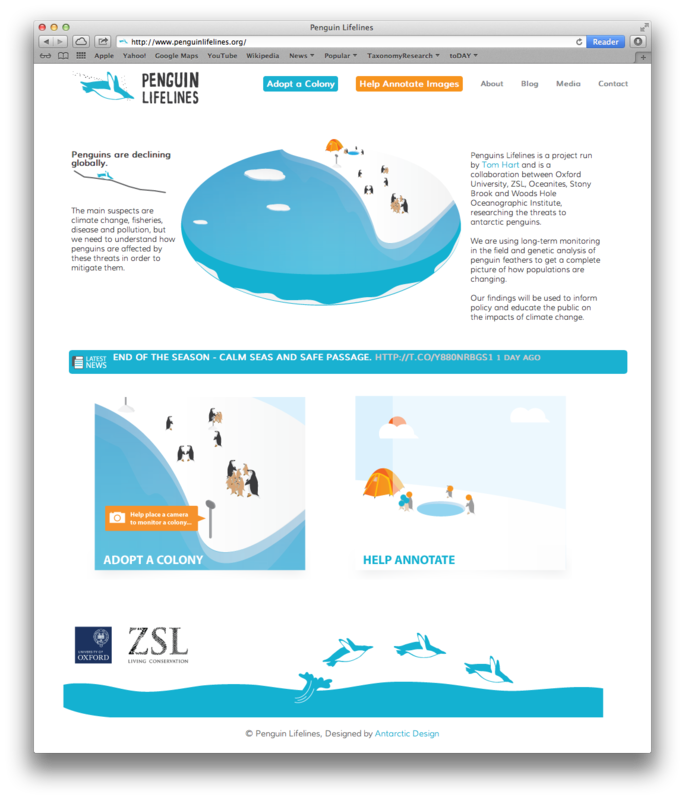 Dr. Tom Hart, from the Department of Zoology at Oxford University asked Antarctic Design to create a website for them, with the remit of increasing awareness of the project whilst also increasing the likelihood of people donating to the project. Here are the results of the work! If you can, please help Tom carry out this work with a donation! I’m putting this here, more as a reminder to myself, but also to perhaps help other people who want a simple no-frills guide to using Apache with mod_proxy to deal with your Tomcat content. The typical way to do this is to use Apache to handle all the http requests to http://myurl/myapp and to use a proxy to forward those requests to say http://myurl:8080/myapp – meanwhile all the user sees is the lovely clean URLs. I’ll give a brief account of how to do this here. Restart Apache to ensure there are no issues. 2. In your Apache httpd.conf file, you need to add two lines for each application you wish to have mod_proxy handle. This is now telling Apache to forward any requests to myapp to Tomcat essentially which is listening on port 8080. 3. Next, you need to modify server.xml to tell Tomcat about the forwarding that’s going on. For that, you add the following. 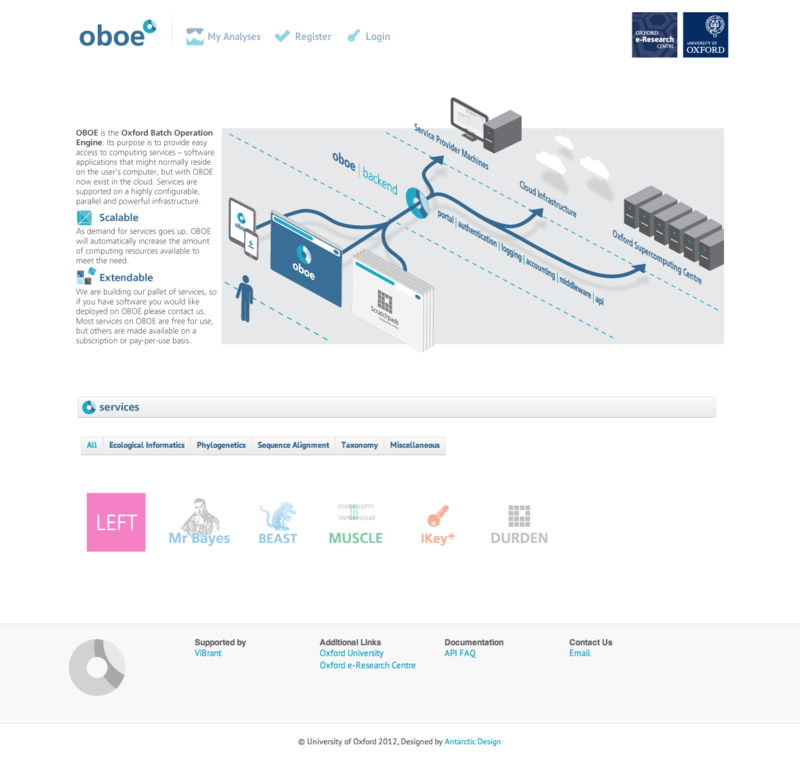 I’ve just finished this project for OBOE, a project based at Oxford University which allows scientists to disseminate their algorithms for use on high performance machines. 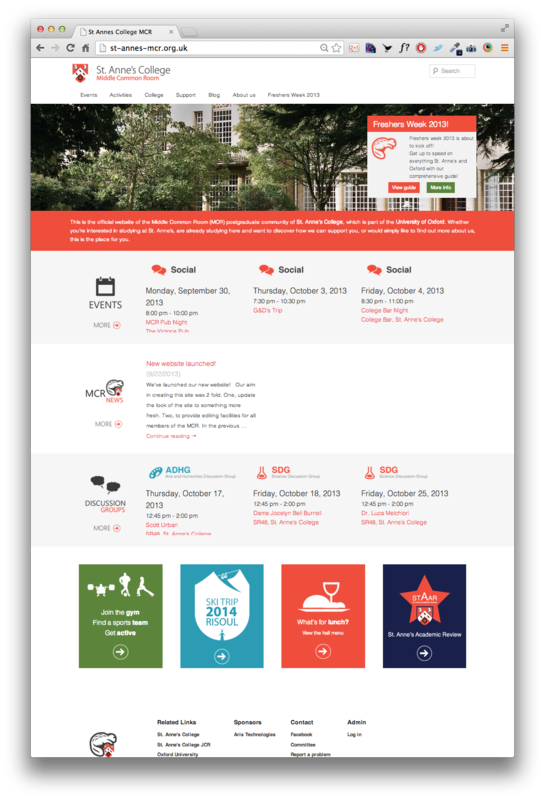 Here is a screenshot of the finished site. I’m in the process of updating the site, mainly to remove some of the text currently shown as an image and to make things more dynamic. Here is the first change, a cleaner portfolio, no need to drag the projector reel like before. Higher res graphic and whatever else that has been created when a logo is clicked on. A few months ago, a friend named Chris Boddy from the Physics Department of Oxford University released the first version of LHSee. It gained worldwide acknowledgement and has received over 30,000 downloads, but was criticised for the user interface. Chris asked me to come on board and redesign the menu system first. Now, we have the new version released! Here is how the menu looks now. Download the new version here.